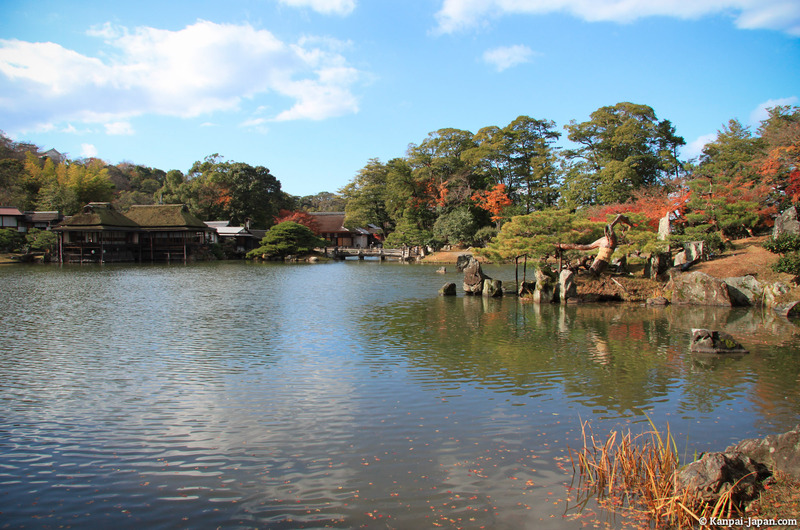 If you are on the lookout for a quick and easy half-dat off Kyoto or Osaka, I suggest you look towards Hikone in Shiga prefecture, just east of Lake Biwa. 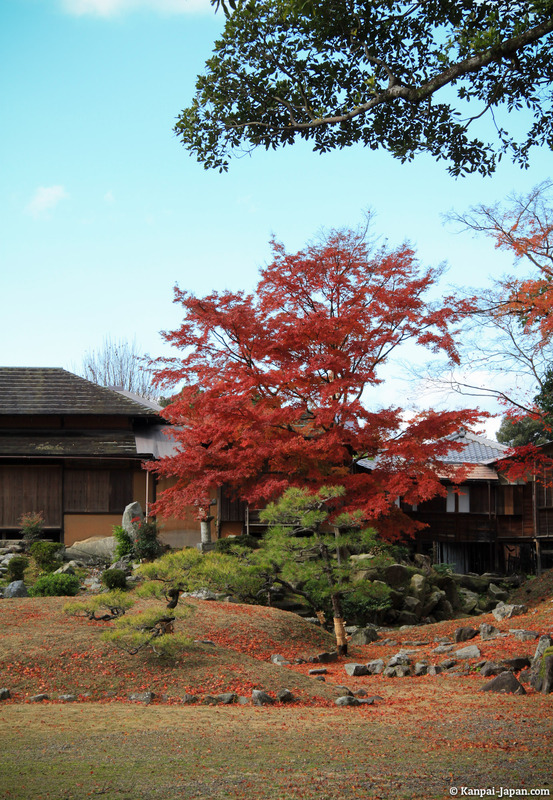 Access is very fast (one hour tops by train) and supported by the Japan Rail Pass. 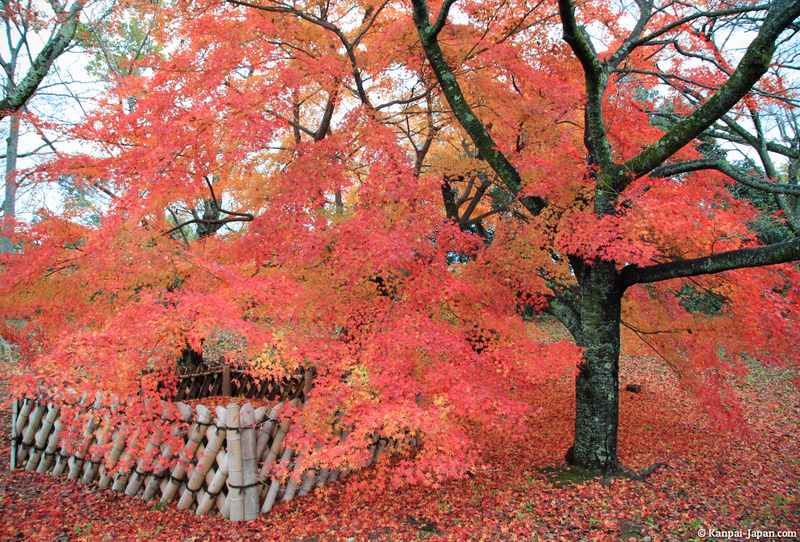 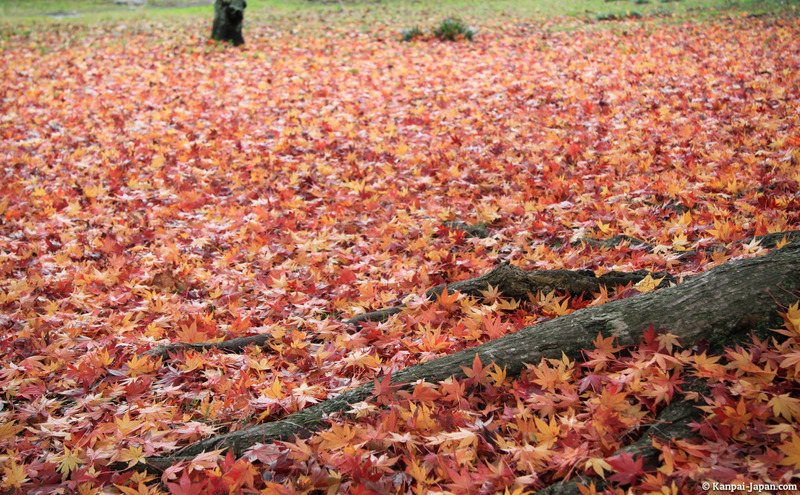 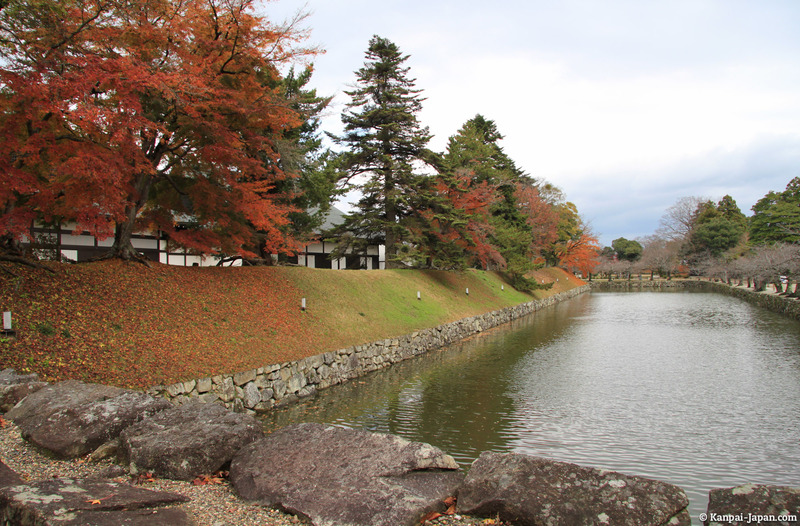 The virtue of Hikone is the combined Japanese landscapes it offers only in a few tens of minutes. 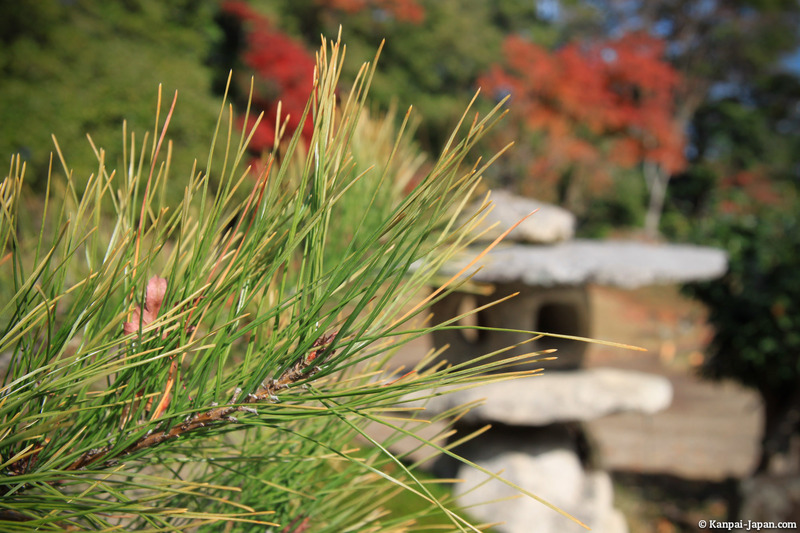 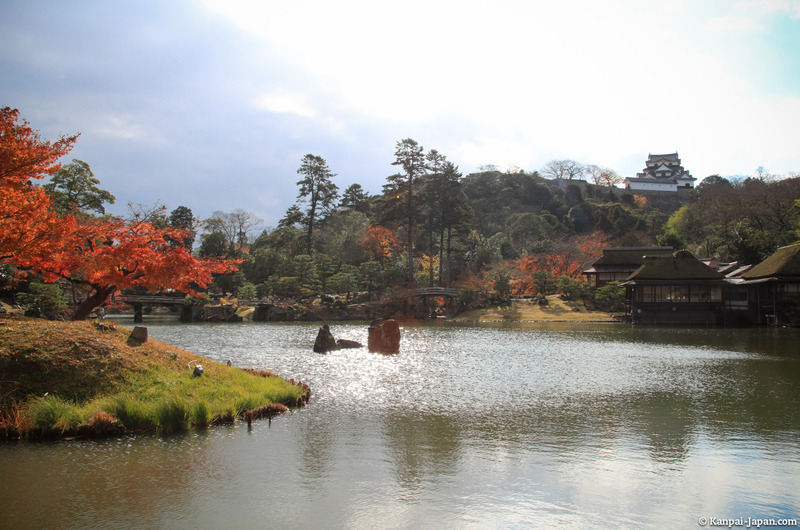 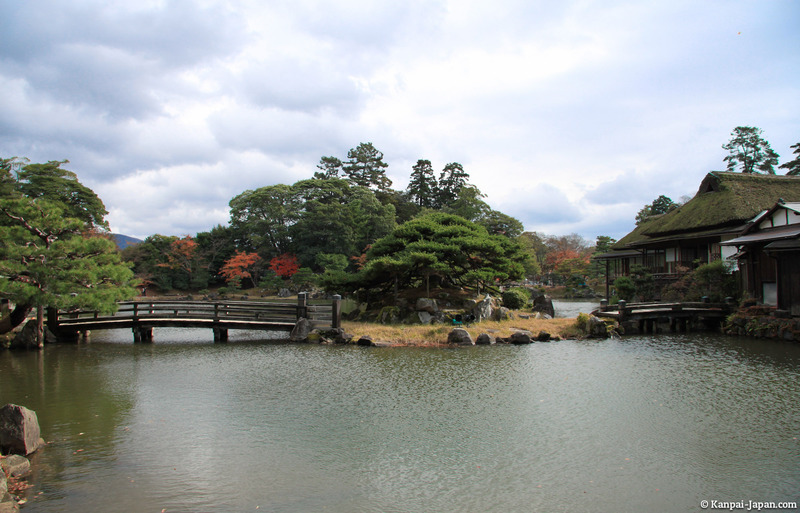 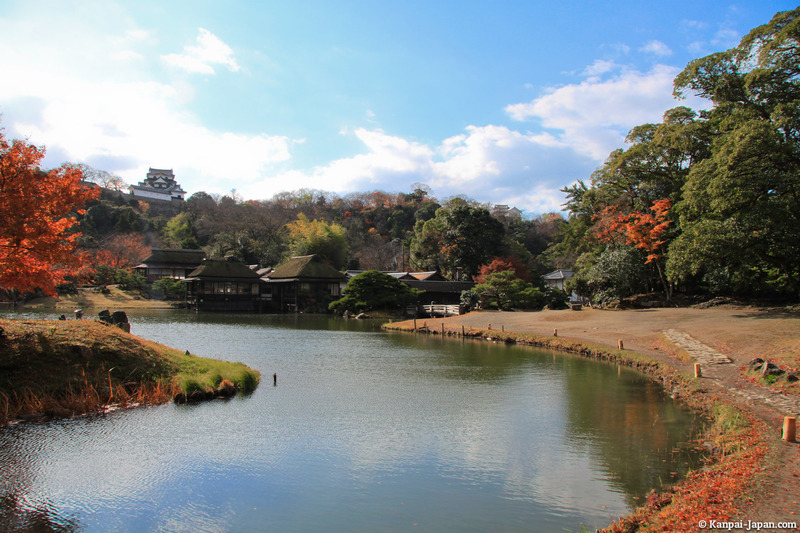 Fifteen minutes from the station, lies a large area consisting of an original castle and a beautiful Japanese garden. 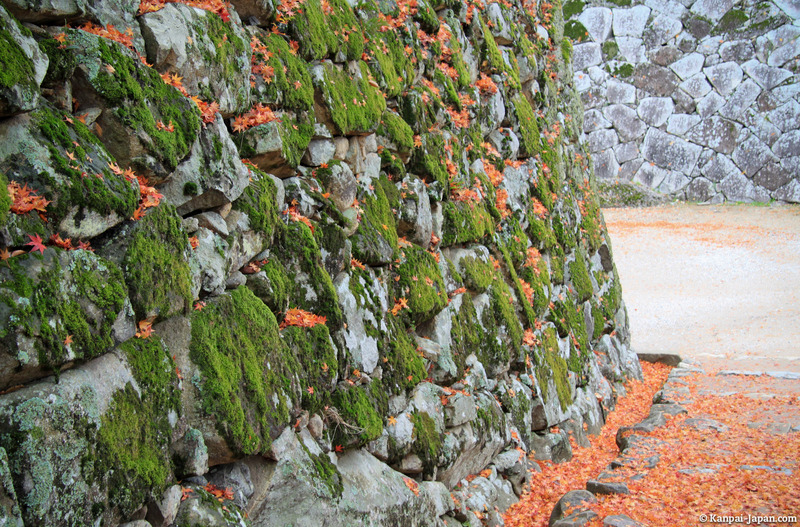 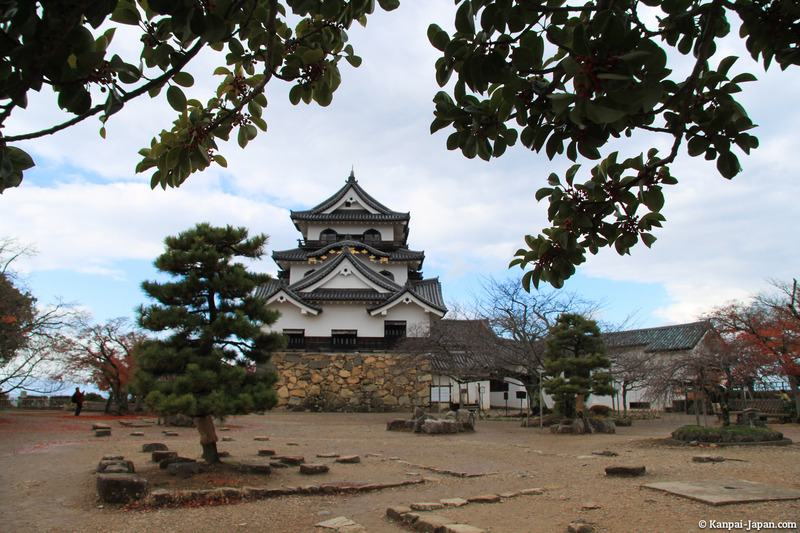 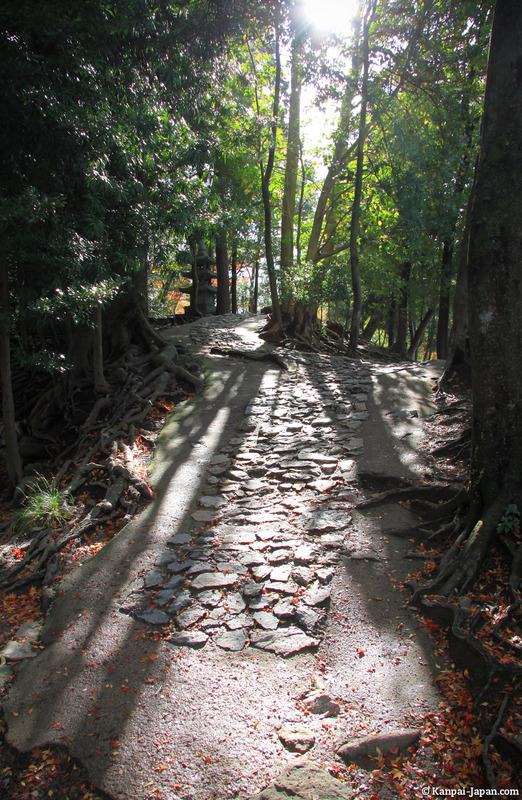 The walk through the grounds of Hikone-jo can get you close enough to the castle, although it's impossible to enter it. 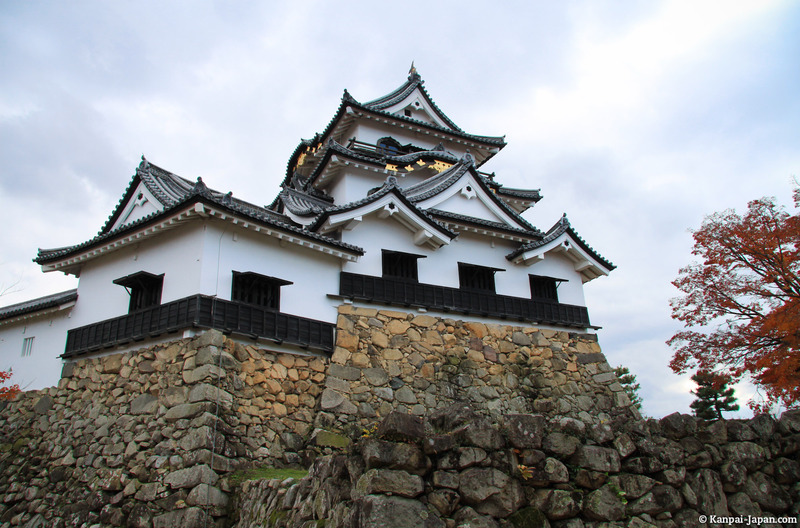 Apart from a few renovated or rebuilt parts, most of the original castle remains. 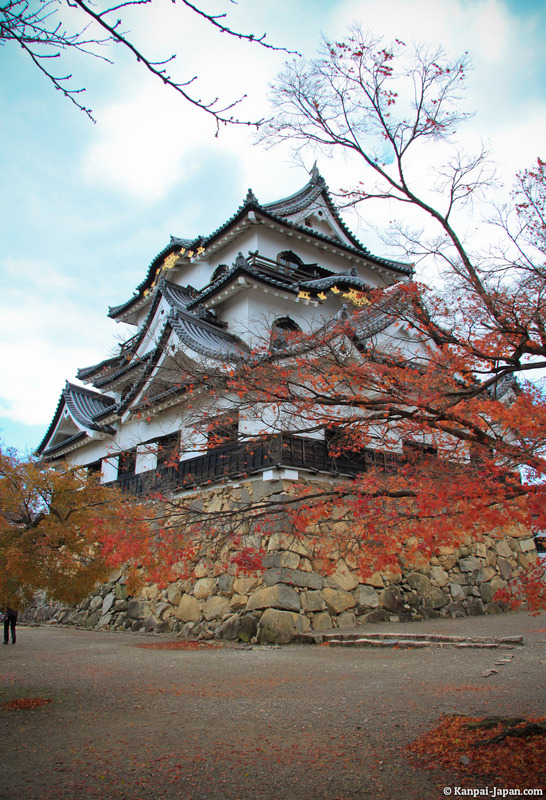 This is one reason why it's classified as a national treasure in Japan, a title shared with only three other castles: Himeji, Matsumoto and Inuyama. 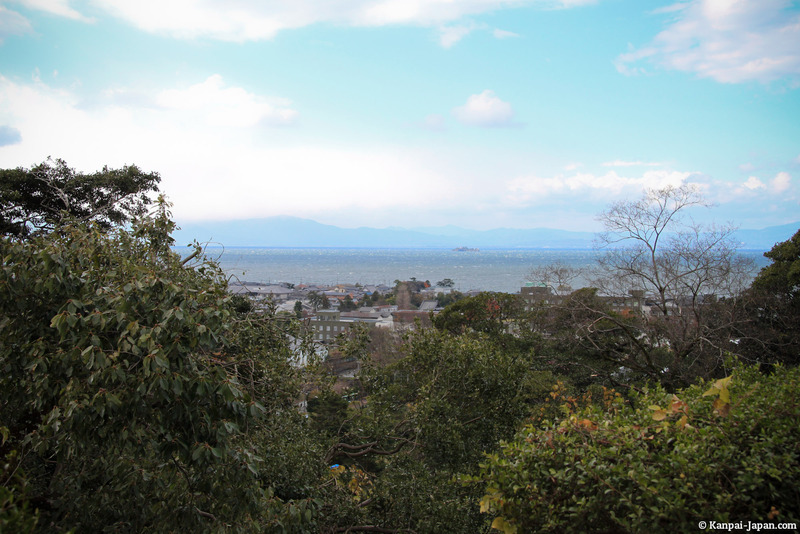 During the visit, don't forget to admire the view of Lake Biwa. 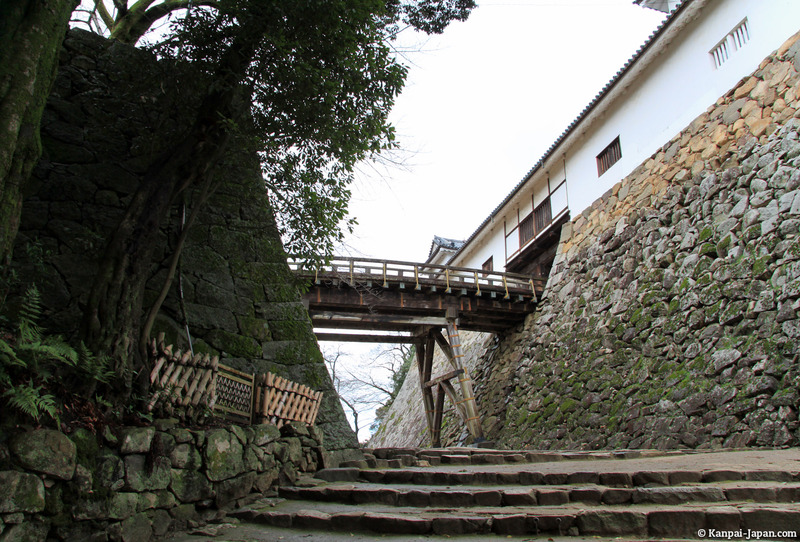 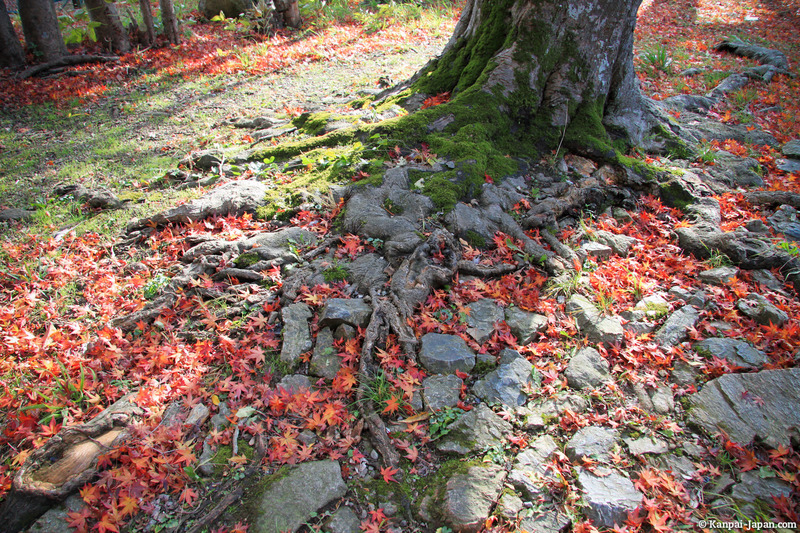 Going down takes you directly to Genkyûen Japanese garden, built a few decades after the castle (late 17th century). 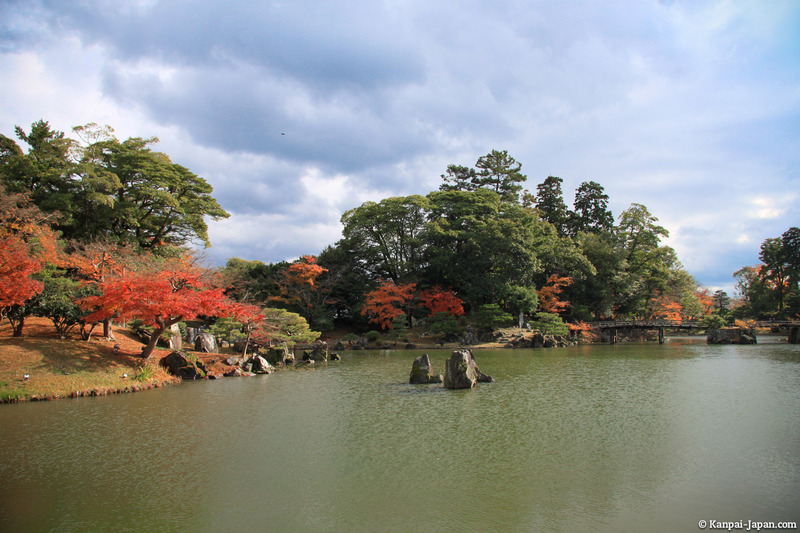 Arranged around a pond, the garden offers different beautiful points of view. 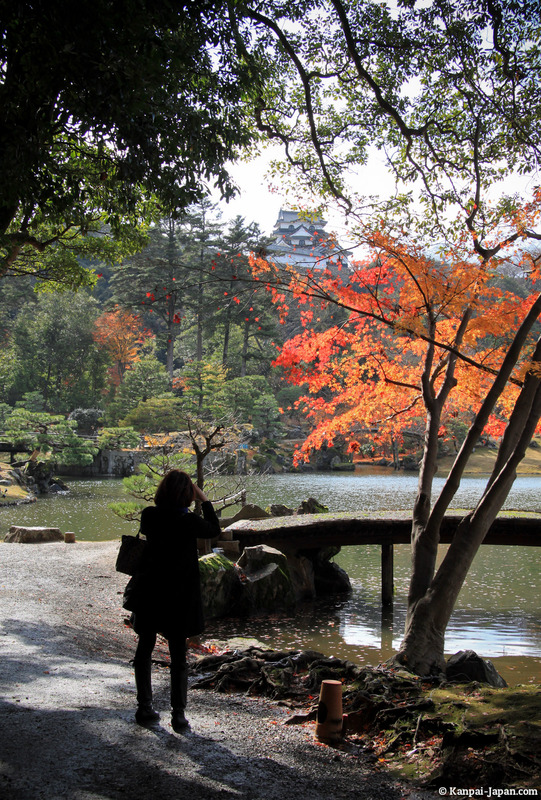 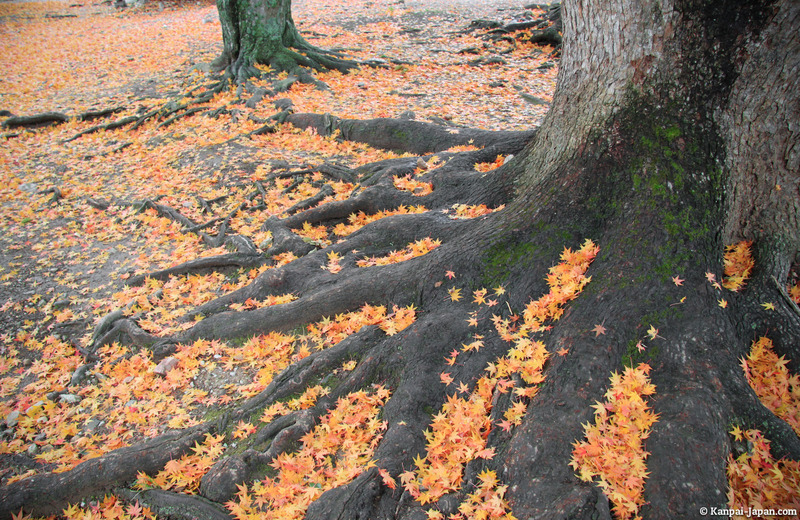 Of course, the whole place is especially recommended if you visit the area during the blooming sakura or momiji (as was our case, at the end of fall). 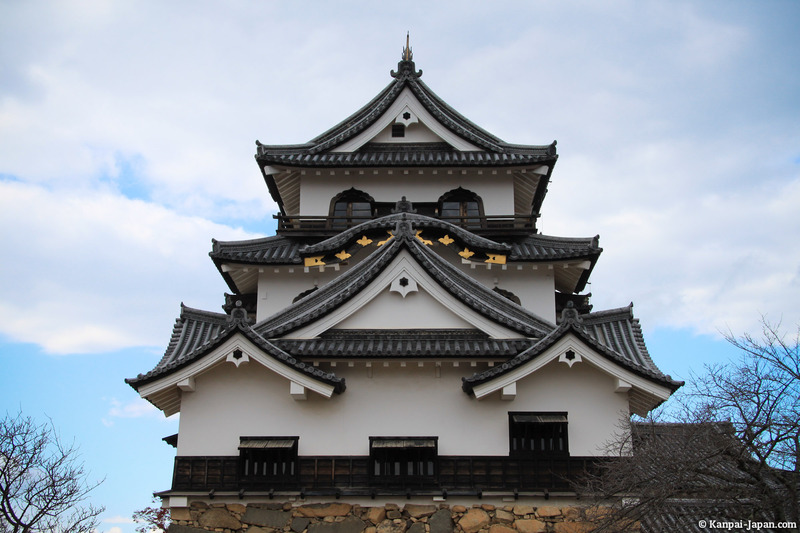 It's possible to continue the tour with a shopping street a little further south, called "Yume Kyobashi Castle Road" and whose architecture is inspired by the Edo period. 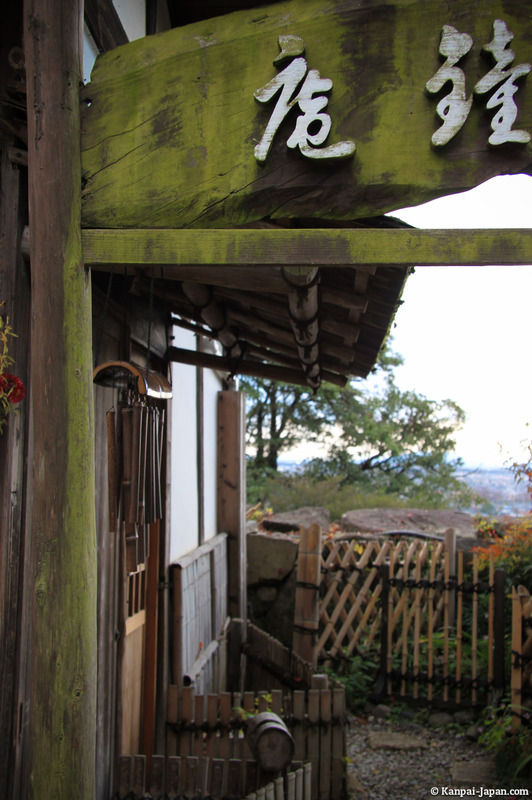 Allow about three hours total on site, and don't forget to say hello to the local mascot, the Hiko-nyan cat!